Do you remember how easy life was when you were a kid? How even though life may have seemed difficult then, it is even more complicated now? I miss that life. I miss the simplicity of life without worries or stress. As a child, the only thing that I worried about was school but as I got older, it became more about what my career goals were, who I am as a person, and making a mark in the world. It is exhausting to become so engulfed in what the future holds, and in discovering what your place will be in that timeline. Life is a roller coaster of emotions and the hectic scheduling of college does little to lessen those ever-changing emotions.If anything, it intensifies them. I believed that once my tedious routine naturally reached a lull, that my life would become calmer. But having graduated, my life has not necessarily gotten any more relaxed; I have simply completed the academic educational process but there is still so much that overwhelms me. But, I am realizing that life is something that you fight for each and every day in order to reach the life that you want to live, a life that you wish to pursue. Life should be about enjoyment and fulfillment… that is what we all are seeking in this world; it is what we all deserve. Life comes with its natural hardships but it is about always trying to connect to positivity in order to fully seek happiness. 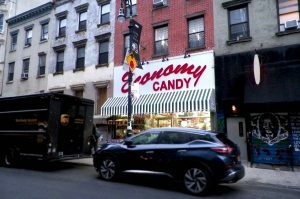 There is a candy shop named Economy Candy which is located in lower Manhattan, just over the Williamsburg Bridge. This was only my third time coming to this shop but it always feels the same as the first. I swear that I transported wavelengths and millions of dimensions into a small child again. 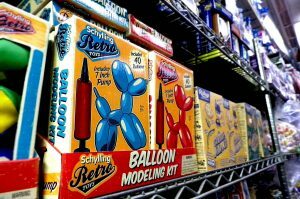 Seeing the array of candy and antique games, it allowed me to forget all my worries at once. I began to feel the simplicity of life again…no matter who you are and the tragic moments or struggles that you have endured, there were still small moments in which those faded away in order for complete serenity to take place. This shop brought those small positive moments back to life for me. I was overcome by the feeling of amusement. 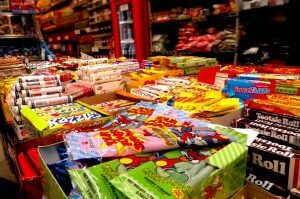 Most of us have a positive connection to certain candies that remind us of happier times in our childhood and that is what this shop did for me. There were chocolate candy bars of all varieties that you can purchase either individually or by the pound. 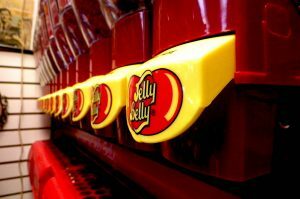 There is even a nook in the back of the store where you can purchase individual popular flavors of jellybeans as well as individual colors of M&M’s. 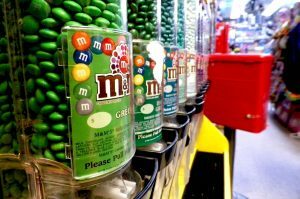 The staff is amazing in making sure that you find the candy that you intended to purchase as well as answering any impending questions that you may have or giving advice on certain candies that may pique your interest, based on your favorite candies. The store also carries a large selection of dried fruits aside from all the other sweet treats. This is definitely a place that I would recommend anyone to visit as it enables you to be able to be a kid all over again. My experience at Economy Candy is one that I will never forget…it was the most memorable time and it also satisfied my sweet tooth with all the candy that I devoured. Comment below on what are your favorite candies from positive childhood experiences. 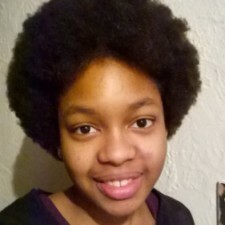 This entry was posted in Brianna and tagged candy, childhood, dessert, Food, life, life struggles by briannavasquez. Bookmark the permalink. I would love to visit this place! It sounds like a dream come true. I love how you brought the saying “like a kid in a candy store” to life. One candy that brings back nostalgia is PEZ (I once watched a TV special on its history). I realize as I’ve gotten older that I’m less crazy about candy and more in love with CHOCOLATE… I wonder why. Robine, I loved Pez candies as well…it was such fun to have different dispensers. And I agree that as we get older that our palate for candy changes. Thanks for reading.